The next Generation of digital Deejaying. We are thankful and proud to get so much positive feedback to UltraMixer. We always work to fulfill your needs. "Tobi, UltraMixer"
Millions of DJs trust UltraMixer. No matter if it is Oktoberfest, Aprés Ski or carnival – UltraMixer will never let you alone. It just runs and runs. I can recommend to to everybody. Previously, I worked with BPM-Studio and after that I found UltraMixer on the internet. I never regret it. I can recomment UltraMixer 100%. 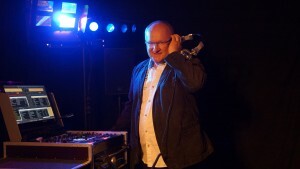 With UltraMixer I have the time to concretrate on the fundamental things – music and the event. Besides many DJ gigs I am doing events with tousands of guests. That is why I need a professional and flexible tool. UltraMixer provides any of this. I can control UltraMixer perfectly with my mouse, UltraMixer completely convinced me. The CD player is used lesser and lesser. Your image here. Tell us, why you like UltraMixer and we will publish your image here. DJs, discoteques, dancing schools, restaurants. Rainer, what is your current DJ-Set? My current DJ-Set consists of a MIDI controller “Denon MC 3000”, UltraMixer 5 Pro Entertain for Windows and a video set in 16:9. I am using a beamer since 2014 (Optoma HD 131Xe). The DLP beamer provides 1920×1080 pixels for Full HD resolution. It’s light power is 2500 lumen. This is more than enough and the 26db are hardly to hear. Interafces = 2x HDMI 1x VGA 1xUSB Type B 1x Video. Please introduce yourself. How did you come to Djing? Previously I worked with BPM Studio and through an internet search I found UltraMixer and didn’t regret it. I can 100% recommend UltraMixer. Why did you chooseUltraMixer 5 DJ Software? A superb overview, an easy to use interface and a stable software and the best is, you can even change the user interface very easily. Do you have tips for other mobile DJs? If you need an easy to use DJ Software with ‘professional features’, you can not do anything wrong with UltraMixer. Michael, what is your current DJ-Set? My current DJ Set consists of a MIDI controller “Denon HC4500” and UltraMixer 5 Pro Entertain for Windows. Audio and lighting technology depends on the event. A german saying states: („Wer nicht mit der Zeit geht, der geht mit der Zeit“) “Who doesn’t follow the time, will go time by time.” That’s why I started 1979 with DJing and growed with different technology. Vinyl, Tape, Cassette, CD and the more comfortable MP3 system with computer technology are my milestones. I always improved my playback technology. Why did you choose UltraMixer 5 DJ Software? As a long term user of a similar software I have been searching for a comfortable solution with 2 player, 2 playlists and the possibility to change the user interface even for a bigger screen. UltraMIxer provides this possibility and the beat exact bledings on a high level. Reliability and robustness of this software in conjunction with Denon’s controller are doing a great job since more than 2 years. The possibility to have a music archive with virtually unlimited CD bags in a digital storage, it is not anymore needed to poke around. Thanks to UltraMixer 5 Pro Entertain, I have more time to concentrate on the more important thing – music and the event itself. Searching within seconds for a title is just one function that UltraMixer masters and makes it even more essential for my daily work. Heiko, what is your current DJ-Set? My current DJ Set consists of a MIDI-controller “Denon MC 6000″ andUltraMixer 5 Pro Entertain for Mac. Besides many DJ gigs I am doing events with tousands of guests. That is why I need a professional and flexible tool. Additionally, you need help if it is urgent. UltraMixer provides any of this. Previously, I had BPM Studio. Unfortunately, they stopped developing their software. I was very glad to find UltraMixer. Reliability, fast, profesional and nice people in Dresden who help you immediately. There are many DJ software out there but only a few of them are professional and reliable enough. Just try it! The offer, the free Demo version and the support … just try it!